By Alan Green in Tertiary Minerals (TYM) on 17th August 2017 . 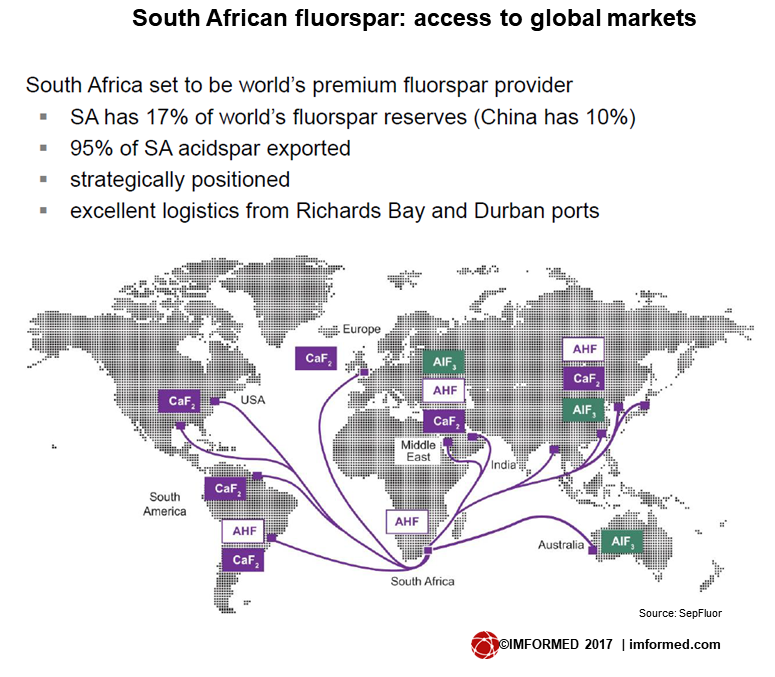 Thus the SepFluor Nokeng and SepChem projects, and the Doornhoek project could be very feasible given the right set of market conditions. 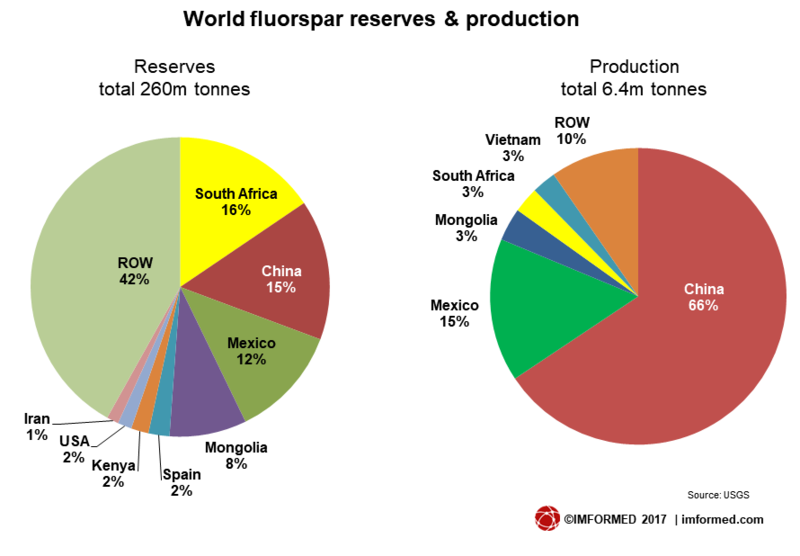 Naturally, any South African newcomers would have to vie for position with other fluorspar projects in the pipeline, eg. Canada Fluorspar (Canada), Tertiary Minerals (TYM) (Sweden, Norway, USA), Hastie Mining (USA). Link here to full imformed.com article.